LITTLE did the people of Manhattan Beach know they were in the presence of an Australian sporting legend. Anna Meares was with the rest of the Australian track cycling team preparing for the Games at a camp in California last month. Training took place at the VEKO Sports Center in Carson, with nearby Manhattan Beach used for recovery sessions and a little rest and relaxation. "People see us and we get lots of questions about who we are, where we come from," Meares had explained to media. "People will stop me, ask me who I am and if I will be racing, and I just say 'yes'. They have no idea who I am, I love it." Meares, of course, needs little introduction to Aussie fans back home and the larger cycling community around the world, who have followed her career since winning the first of her 11 world titles in the 500m time trial in 2004, before backing that up with her first Olympic gold in the same event in Athens. 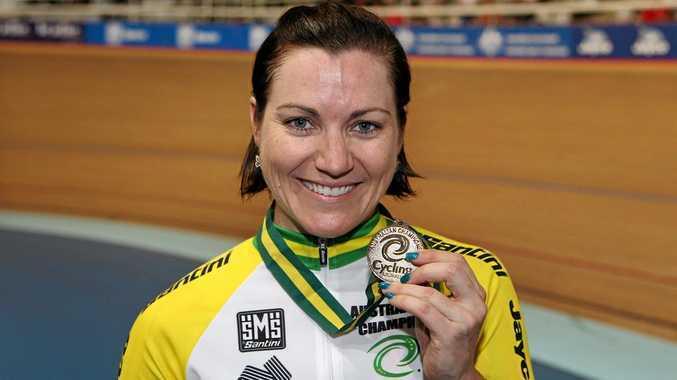 Meares then completed one of the greatest comebacks in Australian Olympic history when she won a silver medal in the women's sprint in Beijing 2008, seven months after breaking her neck in a crash during racing. Australia rode every bump in her bid to be fit, and then her path to the final, where the only thing that stood in her way of a second gold medal was long-time rival Victoria Pendleton, from Great Britain. Back fighting fit for London 2012, Meares got that second gold when she turned the tables on Pendleton in the sprint final. 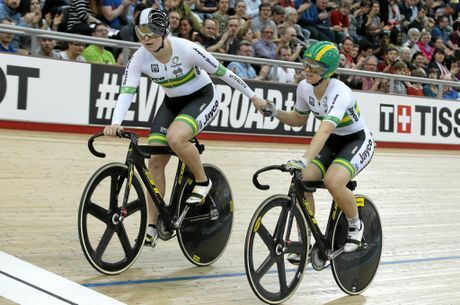 To race in the keirin, sprint and team sprint with Stephanie Morton in Rio, the now 32-year-old Meares will become just the fourth Australian track cyclist to line up at four Olympics and will be aiming to become Australia's first three-time Olympic champion across any cycling discipline. "I always go into these competitions nervous and anxious and I like that because it tells me that this is still important to me," she said. "I know that I am going to go into Rio in my best physical condition, and I think the best mental and emotional position that I possibly could be in. "Whether that is going to be good enough to deliver gold medals, I don't know. I can't guarantee I will deliver it. I work very hard to do my best out there and I will guarantee that I will give my very best and often that looks after itself. "What I have learnt from my losses, I think that has helped me be as successful as I have over a long period of time." There will be no Pendleton to battle this time, but a host of hungry young challengers such as 25-year-old German Kristina Vogel, who beat Meares for the keirin crown at this year's world championships in London. The part-time police officer is also a three-time world sprint champion (2013-15), until settling for bronze in that event behind Chinese pair Zhong Tianshi and Junhong Lin this year. "This is the first Olympic Games where depth is very strong, a big field of fast women, strong women, smart women," Meares said. "The 2016 Games could be the first time we might have 10 women qualify sub-11 seconds in the flying 200m sprint, whereas in London there was two or three. "Certainly this Olympic cycle Russia and China have come along really strongly, in particular in the team sprint. You also can't go past Germany's Kristina Vogel too. "But I think my own teammate Stephanie Morton will be a real handful and a tough competitor, which is great news for both me and my country." Before racing starts, the girl who was born and raised in the mining town of Blackwater and went to primary school in Middlemount in Central Queensland, will have the honour of being her country's flag bearer at what will be her first opening ceremony. "I have some time to reflect on why and the reasons I was awarded it, I am really proud I will be doing this role," she said. "I have never walked an Olympic ceremony. I wasn't even in the country in Athens and Beijing as the cycling competition was often in the last week of the Games. "I remember watching it on television with my teammates at training camps, while in London it was a team choice that no one marched. "I will be taking stock on the night, really taking it in, as very few Australians have been flag bearer for both the Commonwealth and Olympic Games, and I am very proud and respectful of what that means. "So yes, one of the best things about being the flag bearer is you actually get to march."